Start: Fort Charles, tucked away in the Old Military Complex at the base of Church Street. Finish: Y-Knot Bar, beside Morgan’s Harbour Hotel. Tips: To begin, pay the small entrance fee at Fort Charles’ gate and explore the fortresses quiet holdings with a friendly local guide. The oldest and greatest of the ancient city’s six fortresses, Fort Charles was built in the 17th century. Lord Horatio Nelson, Admiral Rodney, Sir Henry Morgan and many other famous men strode proudly across the ramparts of this fearsome fort, which boasted as many as 104 cannons and 500 men. Browse through the small, but informative museum and later retrace Nelson’s footsteps on the wooden quarterdeck overlooking the Caribbean Sea. Directions: Wander to the front of the fort, where you’ll find The Royal Artillery Store (“Giddy House”) and The Victoria Albert Battery. Both structures were constructed in 19th-century and badly damaged by the earthquake of 1907. Don’t leave without testing out the amazing effect of walking on the Giddy House’s sloping floor! Directions: As you leave Fort Charles, you will see the HMJS Cagway. A former Royal Navy station, now the headquarters of the Jamaica Defence Coast Guard. The name “Cagway” is a vestige of the town’s past. It was the English version of Cayo de Carena, the original Spanish name of the island upon which the Port Royal was founded. Directions: Heading north along Church Street, the Parade Ground is on your left. This was once an inlet called Chocolata Hole. During the 17th century, small vessels used to dock in this harbour. The land was later reclaimed and used by the British Royal Navy, and then by the Jamaica Police Force, as a marching ground. Directions: At the front of the Parade Ground is a monument to the 1692 Earthquake. This old ship’s mast was the only remnant of a sloop, which was docked in harbour, during the earthquake. Directions: Adjacent to the mast is The Royal Engineer’s Arch. Reflective of the triumphant arches of ancient Rome, the British army built this beautiful red brick archway to mark the entrance to the old military complex. Directions: Standing near the arch, to your right, is The Post Office. In the 18th century, this building served as officers’ barracks for the British Royal Navy. Directions: From the arch continue northward, past the skeleton of an old laboratory on the right, until you arrive at the heart and soul of Port Royal, St. Peter’s Anglican Church. A virtual museum of the town’s history, the chapel has stood on this site since 1726. In the churchyard, you will find the grave of one of Port Royal’s most famous residents, Louis Galdy. Visit his tombstone and read the fascinating inscription. Inside the church are many other interesting relics, including the communion silver, which is believed to date to the 17th century and to have been a gift from the notorious pirate, Henry Morgan. Directions: After spending some time at St. Peter’s, walk along Church Street until it merges into Tower Street. Take the first left turn onto Love Lane, followed by an immediate right and then another left onto Gaol Street. Here you’ll find the Old Gaol. A former 17th-century jail and one of the few architectural survivors of the earthquake. Today, it is leased by a private business and is well maintained. Directions: At the westward end of Gaol Street take a left turn onto New Street. Ramble along New Street until you arrive at the entrance of the Old Naval Hospital. Built in 1819, the hospital is one of the earliest examples of prefabricated construction in the world. 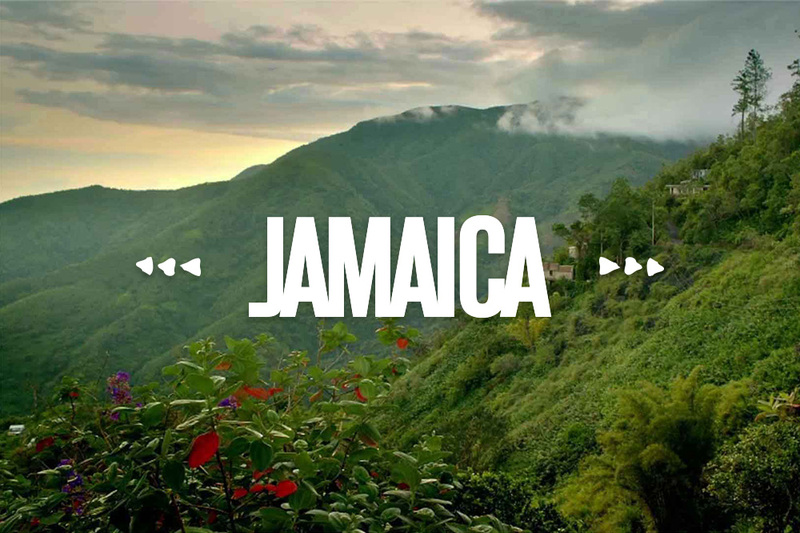 It’s cast iron sections were manufactured in England and shipped to Jamaica for its construction. Now, it serves as a research station for the Jamaica National Heritage Trust Archaeological Division. In the waters, just off the Naval Hospital, lie the largest and most opulent parts of the ancient city. Directions: After the hospital, turn right by the public library and walk along Broad Street, observing the fishermen servicing their boats. Once past the colourful canoes, go right onto Queen Street. Before the earthquake this street was one block away from the sea. Facing the police station is Gloria’s Restaurant. Kingston’s only street-side café, serving delicious seafood dishes. Directions: Take a break: If you’re hungry, Gloria’s is the perfect place to stop and have a bite. Enjoy delightful Jamaican fares like fry fish with bammy and festival or curry lobster and rice and peas. Afterwards, continue northward along Queen Street to the Town Centre. A former site of the Port Royal Courthouse, it is now an empty lot. Each night, the square heats up as a disco plays the latest music, while residents and visitors stream in and out of shops and bars lining its edges. Directions: Standing in the middle of the square, the Angler’s Club sits to your left. This tavern is the oldest one in Port Royal and one of the few buildings to survive Hurricane Charlie in 1951. Directions: From the square, trek eastward past the fire station on Cagway Road, by the tasteful Cagway Apartments on your right, to Tower Street. A right turn leads you to St. Paul’s Methodist Church on your right, St. Peter’s Anglican Church on your left, and back to the Military Complex and Fort Charles, where you began your tour. If you want to keep going, take a left to Morgan’s Harbour Hotel. This charming waterfront hotel stands on the site of the old Kings House and the Naval Dockyard. Built in the 1950s, it was a popular getaway for Kingstonians and is still a local favourite on weekends. Elegant yachts line its dock, overlooking Kingston Harbour. Opposite the bar is a red brick building, bearing a sign that says 1692. Once used as the hotel’s disco, this old pitch house was a part of the navy dockyard. While visiting Morgan’s Harbor you may charter a boat to take you to Lime Cay, a nearby islet with a beautiful white sand beach, or have a drink or meal at its harbor front restaurant and bar. Directions: Across from Morgan’s Harbour, to the east of the Port Royal All-Age School, is a plaque marking the spot where Fort Rupert once stood. In the 17th century, this fort guarded the eastern entrance to Port Royal, via Palisadoes Spit. It boasted over 22 guns, but sank during the 1692 earthquake. Directions: To the left of Morgan’s Harbour Hotel is Y-Knot Bar. As well as serving cool drinks and tasty snacks, Y-Knot offers a boat shuttle to Lime Cay. Throughout the weekend this quiet spot comes alive with thumping reggae beats and the laughter of happy beachgoers. Behind Y-Knot are several 19th-century buildings that were once navy storehouses and admiralty quarters.